It’s amazing to think how far comic book movies have come in the eight or so years since “Iron Man” (2008). Before, comic books were sort of molded into whatever Hollywood thought an action movie was supposed to be at the time, with no acknowledgment that thousands of comic book characters fight in the same universe. Spanning decades, publishers, genres, and themes, it’s impossible to discount Darwyn Cooke’s impact on the artistry and narrative of the medium. 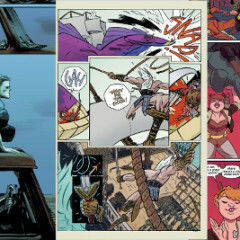 Cooke’s style — a simplified yet powerful homage to the artistry of the Golden Age — has been a refreshing cornerstone of DC and popular comics since the 1990’s. Aided by his Roche Limit colorist counterpart Matt Battaglia, now on full-fledged artist duty as his first full-length illustrated work, Moreci is tackling murder, conspiracy, politics, cults, and the apocalypse in this new series from Z2 Comics. 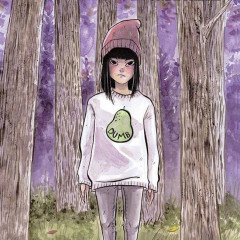 In Plutona, Jeff Lemire is giving the superhero genre the same treatment he gave to the post-apocalypse in Sweet Tooth, and Lenox is blazing the path. While this first issue is fairly new-reader friendly (any absolutely essential information is provided via flashback or the recap page), it accomplishes frustratingly little and spreads itself way too thin. In its brisk 22 pages, the book sets up three different story lines. Ben Templesmith has been no stranger to horror — the creator-owned veteran has become one of this generation’s best defined horror authors through books like Welcome to Hoxford, 30 Days of Night, and The Squidder. 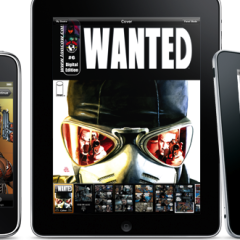 After a brief hiatus from the comics scene, Templesmith is now running full-speed, churning out quality books behind the banner of 44FLOOD. 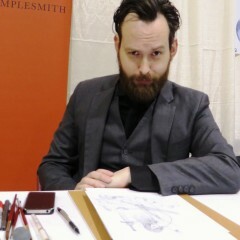 Templesmith spent some time with us to fill us in on where he’s been, what he’s doing, and how the internet is changing the face of comics. More creators, creating more content outside the major publishers leads to more diversity in the marketplace, which means there is a little more of something for every taste. 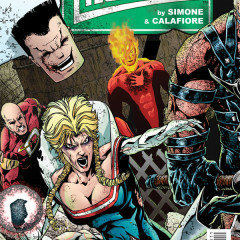 How did Gardener leave the Red Lanterns? Where is Kyle Rayner? Where are these guys and why are they so lost? Beats me. Want answers? 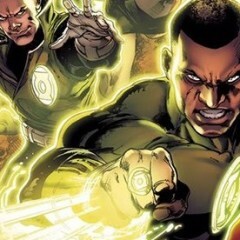 Better shell out a couple hundred dollars to get the last four years of Green Lantern and Green Lantern Corps comics. 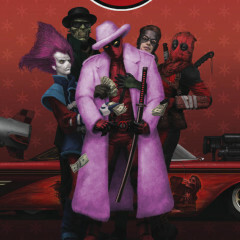 Written by Deadpool veteran Cullen Bunn (Deadpool Kills the Marvel Universe), this introductory issue does a fantastic job at remaining independent of concurrent titles and recent arcs, which remains a serious issue for Marvel books as their increasingly complex web or properties continues to expand. 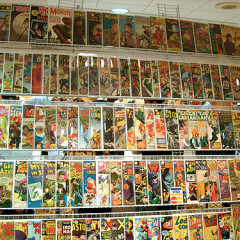 I made a vow, in that childhood-induced lunacy of acrimony, to read every comic book ever created. Twenty-three years later, that’s been my only New Year’s resolution. I visit local comic shops twice a week and have to swim through a stack of issues to get to my armchair. I’m a long way off from reading every comic ever, but I feel like I’m making some good headway. Every comic book I’ve ever read has been out of spite. 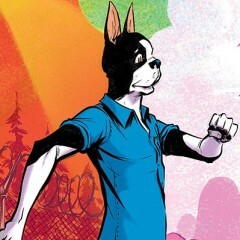 Kennel Block Blues is a weird mix-em-up mashing together Shawshank Redemption with 101 Dalmatians with a little Bugs Bunny added in for good measure. It’s a batshit insane combo that probably ought to not work, except it somehow — almost inexplicably — does. For the most part, anyway. With so many great stories beginning and continuing into and throughout 2015, it may be tough trying to narrow down the best comics of the year. To compile this list out of hundreds of comics, I used the simple condition that each series or arc had to begin in the year 2015. 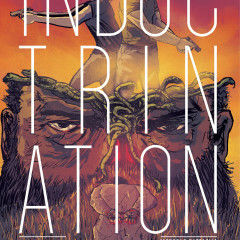 Below is a list of the five best comics the year had to offer, from a variety of creators, publishers, and genres.